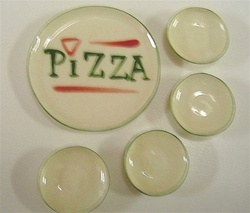 Pizza sets includes one large ceramic platter measuring approx. 1-1/4" in diameter and 4 small bowls measuring approx. 3/4" in diameter. 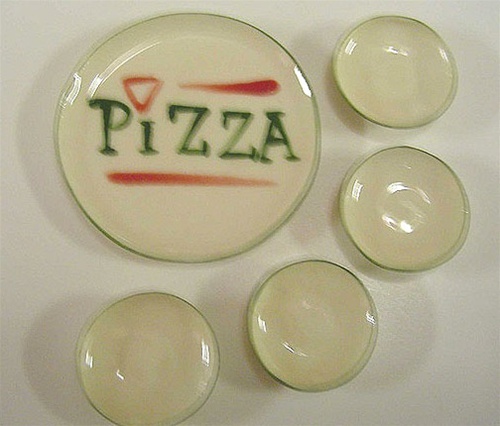 The word 'Pizza' is hand painted. Comes as a set.